(Nanowerk News) When humans begin to colonize the moon and Mars, they will need to be able to make everything from small tools to large buildings using the limited surrounding resources. 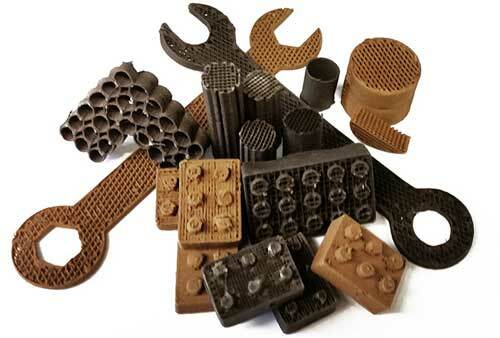 Partially supported by a gift from Google and performed at Northwestern’s Simpson Querrey Institute, the research was recently published in Nature Scientific Reports ("Robust and Elastic Lunar and Martian Structures from 3D-Printed Regolith Inks"). Adam Jakus, a Hartwell postdoctoral fellow in Shah’s TEAM lab, was the paper’s first author. Two former Northwestern Engineering undergraduates, Katie Koube, who currently works as an engineer for SpaceX, and Nicholas Geisendorfer, who is now a graduate student in Shah’s lab, co-authored the work.